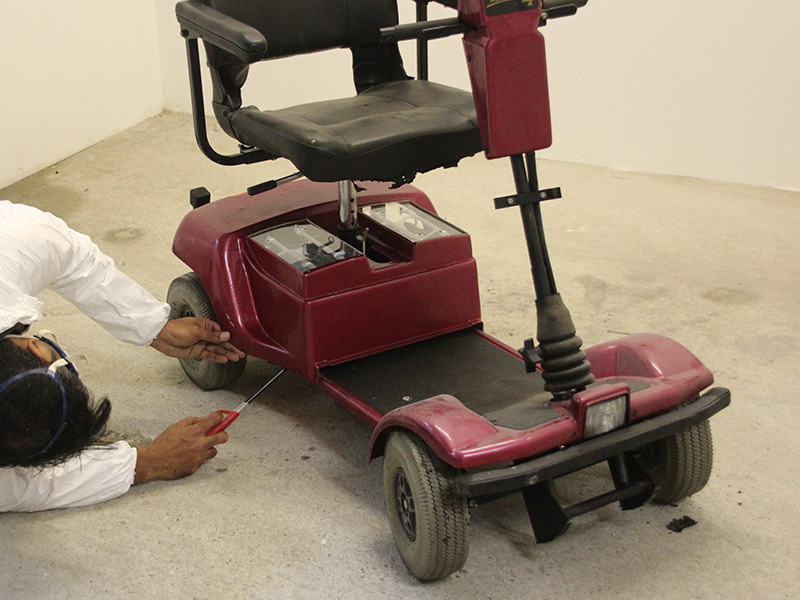 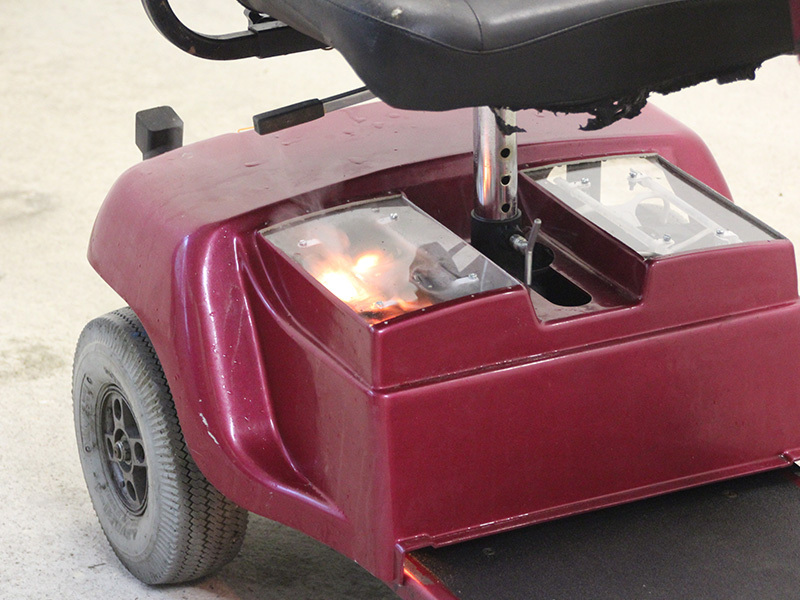 Due to many fires & fatalities with the batteries overheating and burning on mobility scooters, it has been essential to develop effective fire protection for them. 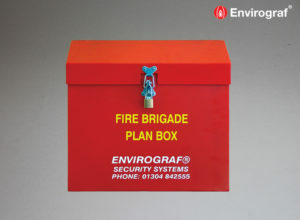 Envirograf® EnviroBurst fire stop system is available in different lengths, suitable for installation on any mobility scooter. 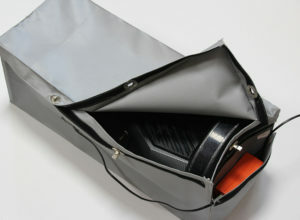 Very easy to install, just attach the tubes to the inside of battery enclosure with supplied clips. 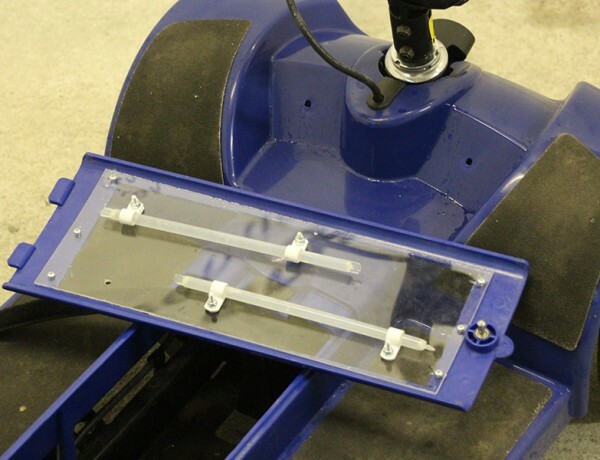 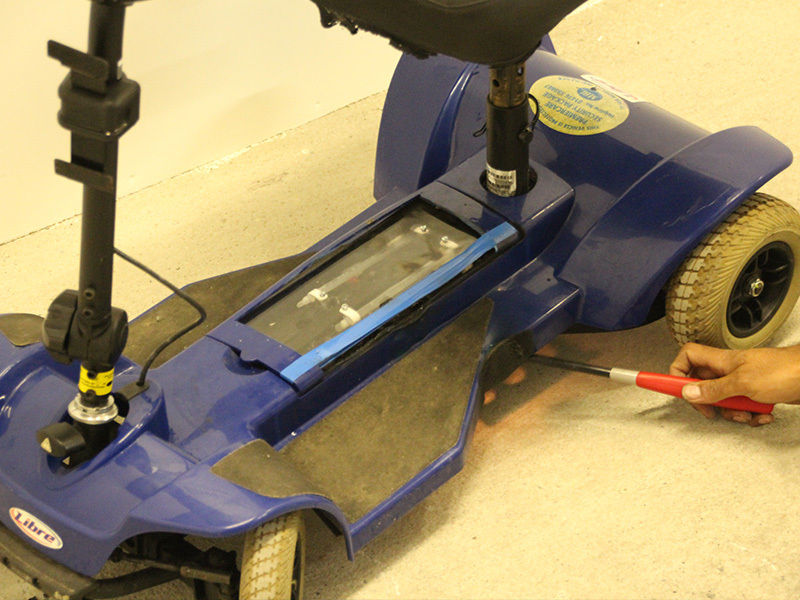 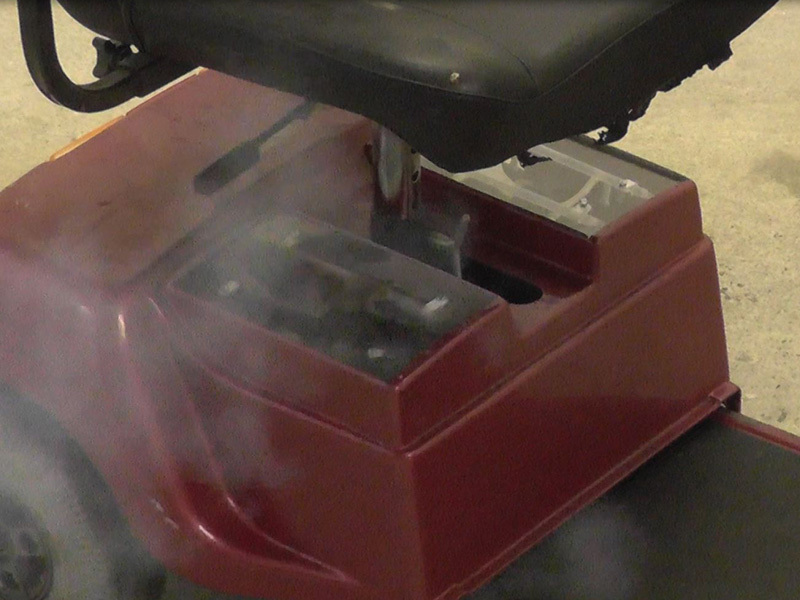 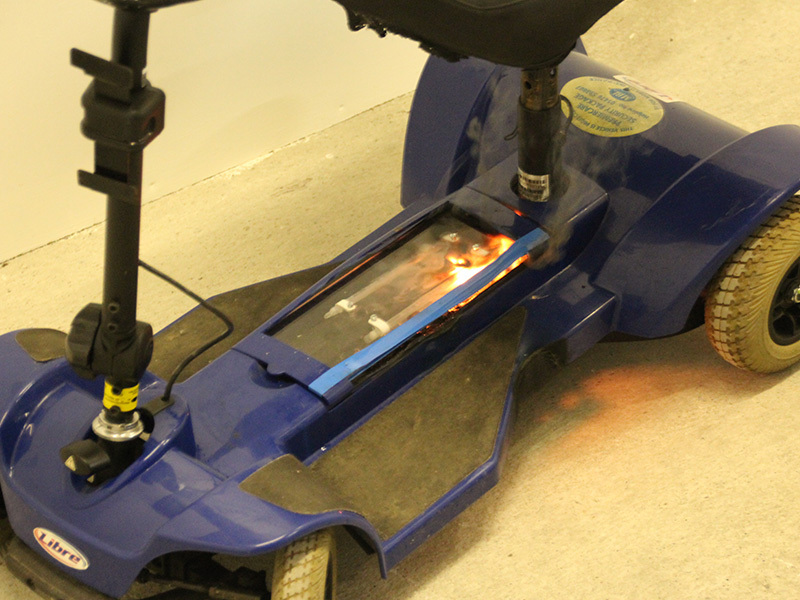 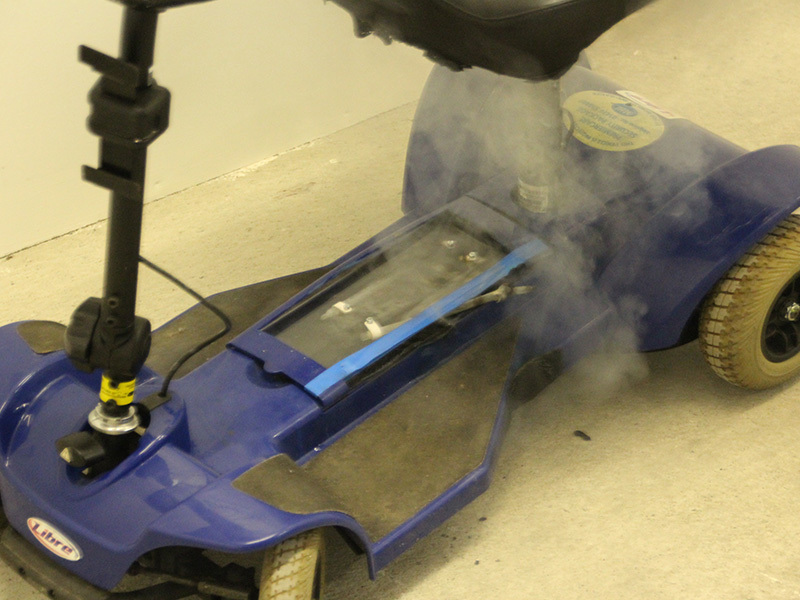 Once installed, the tubes prevents any fires developing inside the battery enclosure of the mobility scooter. 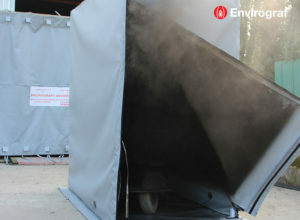 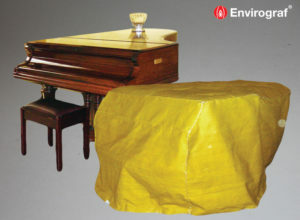 The tubes do not present any health hazard, once activated the liquid extinguishes the fire and evaporates. 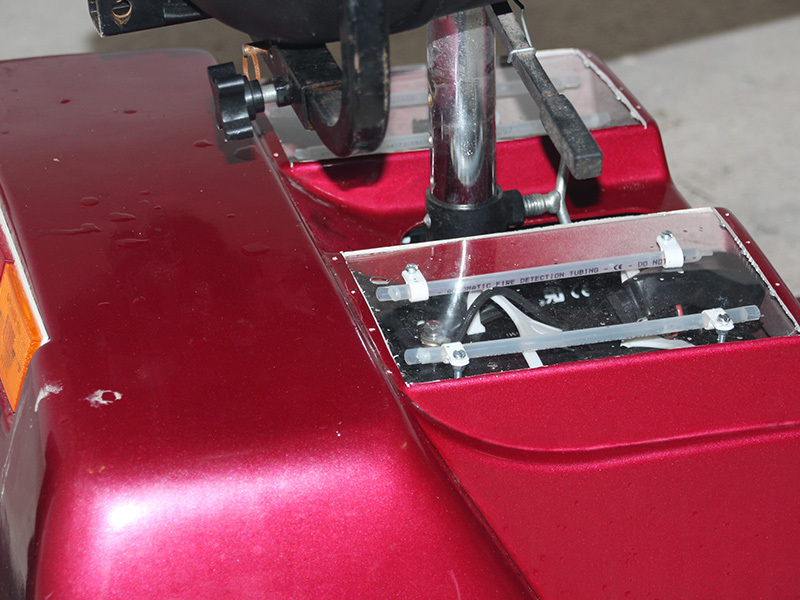 The tubes are supplied with fixing clips, very easy to install.